But we had veered off course. We were at the Cedar Lake performance space in the Chelsea section of Manhattan to talk about Mr. Wilson’s Noah’s Ark installation for Van Cleef & Arpels. From Nov. 3 to 19, visitors will be treated to a display of the jeweler’s menagerie of exotic animals, designed as brooches and showcased in a series of recessed glass enclosures cresting and dipping rhythmically along the walls. 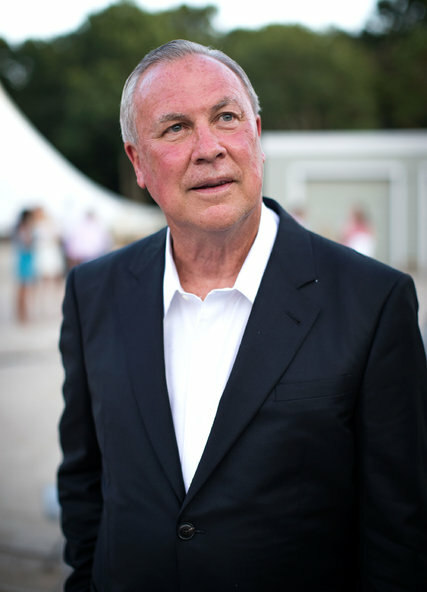 The artist and director Robert Wilson. For the project, Mr. Wilson, 76, who will be honored on Nov. 6 at the New York Public Library Lions gala, tapped his enduring fascination with a cast of outsize characters. Over the years that pantheon has included Sigmund Freud, Queen Victoria, Joseph Stalin and Albert Einstein, the ostensible hero of “Einstein on the Beach,” the visual and musical spectacle he created with Philip Glass, which shot him to fame in the mid-1970s. 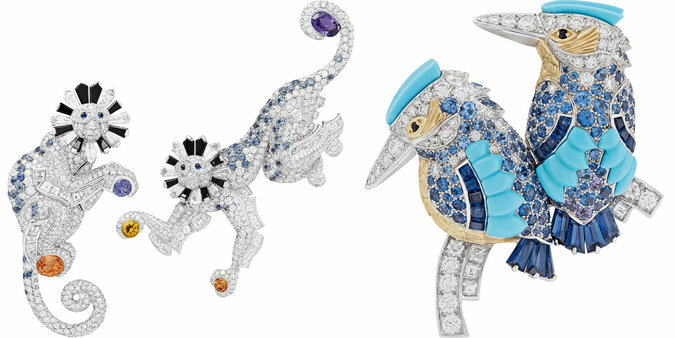 Designs by Van Cleef & Arpels. At Cedar Lake that story translates into an alternately soothing and unsettling multisensory experience. On first entering the eerily lighted space, guests are jolted by thunderclaps and flashing lights; inside, they are lulled by projected ocean waves lapping the perimeter, the meditative strains of “Spiegel im Spiegel” (written by Arvo Part), drawing them toward the black jewelry cases. Miniaturized stage sets, they are populated with pairs of lapis and turquoise parrots, intertwining jeweled zebras, diamond-and-sapphire monkeys and cocooning penguins with black onyx and cabochon gems, all similar in scale. An old hand at these collaborations between artists and brands, Mr. Wilson created an installation for a Guggenheim Museum retrospective of Giorgio Armani fashion designs in 2000. Last year, Hermès enlisted him to create an installation to celebrate the debut of its furniture and housewares line. Are such collaborations necessarily compromising? Not if you ask Mr. Wilson.